Who doesn't want perfect and plump skin? Being in my 20's for quite some time now, has taught me that looking after my skin is the most important thing as it will be very important in the future. I suffered from acne for around 7-8 years and due to taking all sorts of medications to stop it, my skin has suffered a lot. I have scars and dimples all over my face, she loose skin and wrinkles. It makes me very self conscious about my looks, therefore I tend to wear makeup every single day. 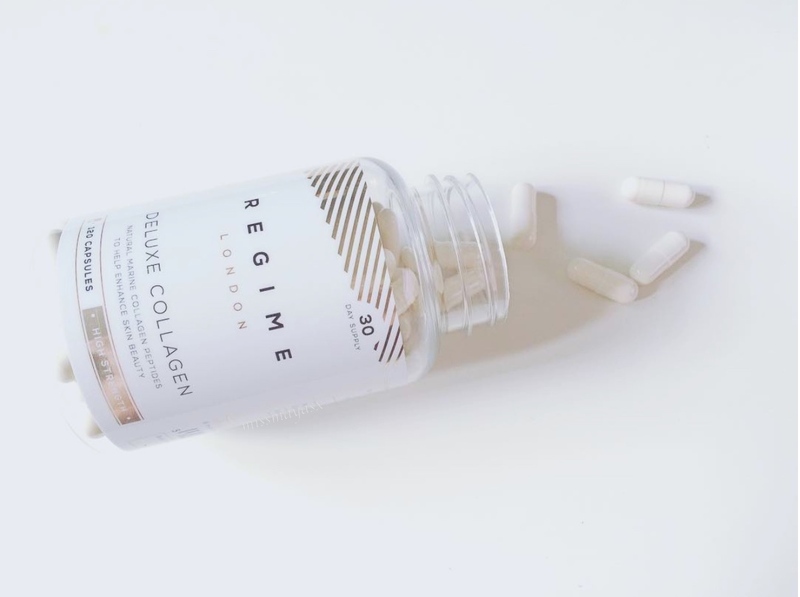 When I recently came across Regime London I was sceptical about it at first as I didn't believe that supplements could ever work this way without any surgeries, however I must say I was very surprised to see amazing changed to my skin. About Regime London: "Regime London is a premium range of nutricosmetics designed to provide a deeper level of beauty care and support, helping to bring the 'inner you' to the surface. Whereas outer cosmetics can be used to target certain areas and enhance specific features, the Regime Nutricosmetics range can provide a genuine and longer-lasting impact by focusing on the interior building blocks responsible for the outward health and appearance of the entire body"
My skin felt so much tighter and more nourished than ever, and that's only two weeks into taking the supplements. The tablets aren't too big and because they're coated, they're easier to swallow as you can't taste them. I'd love to try the whole range of these, as they come in 'Coconut Quench', 'Dermal Grandeur', 'Hyaluronic Acid' and of course - my favourite 'Deluxe Collagen'. Regime London have kindly sent me this product to review, but like always this is 100% my own opinion. This product is fantastic and has worked wonders on my skin.